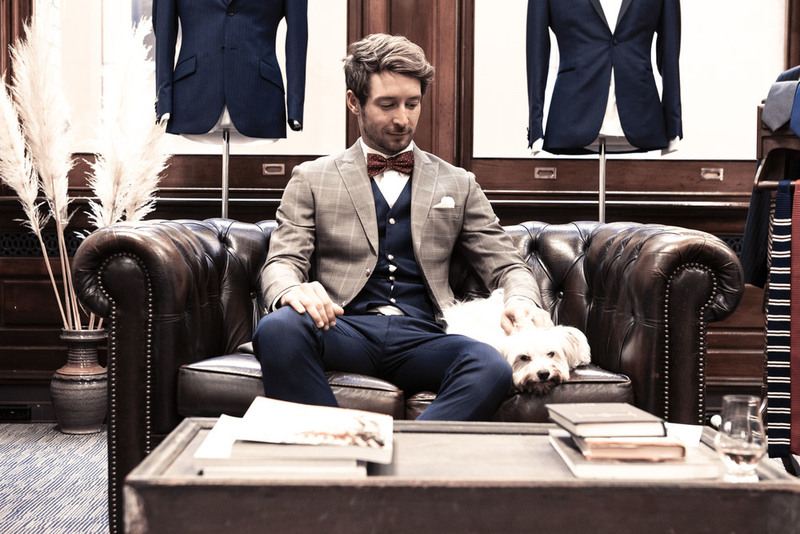 Finding the perfect suit can be one of the most enjoyable experiences available to the modern urban man. But it can also be the most harrowing. 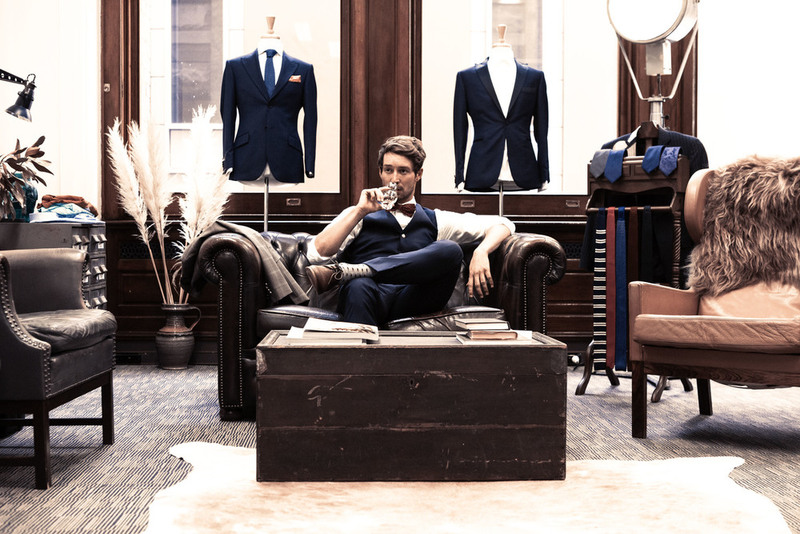 With so many differing brands, styles and prices available on the market, where does one begin the search for the perfect tailored suit? Imagine Institchu as your person tailor, a talented and wise man with old-world swagger to spare that creates custom-made designs according to your individual taste and budget. He also lives exclusively online. The process is simple. 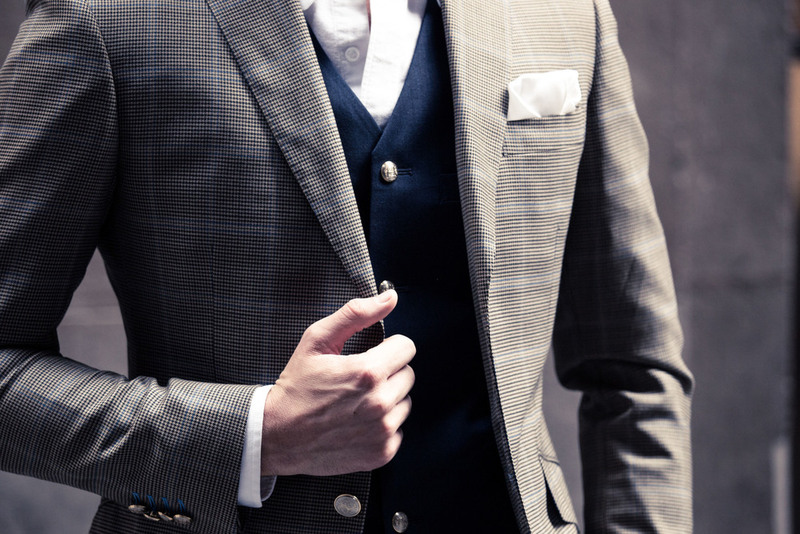 You select your suit or shirt style from the range (or design one from scratch), measure yourself in minutes, get your measurements double checked by Institchu tailors and then your custom designed suit or shirt arrives within 3 weeks. 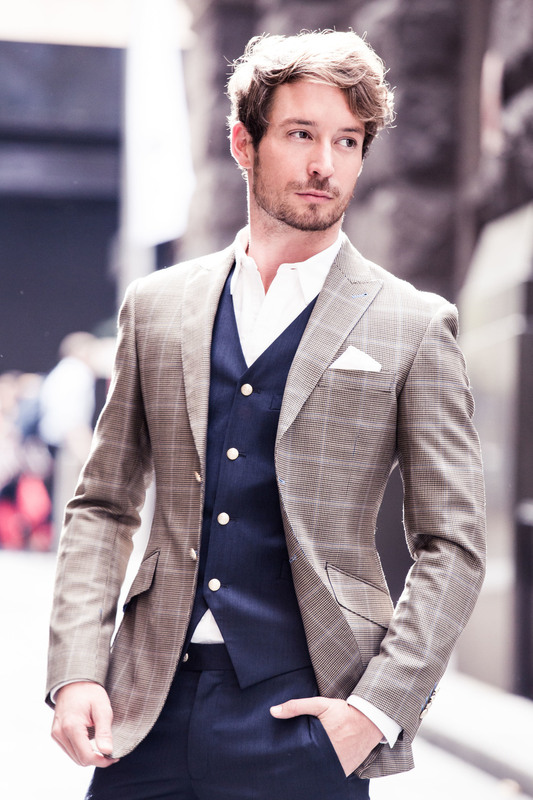 I recently collaborated with the team to design my own three piece suit which is now available to purchase in their A/W Range. Meet the 'Mr Hancock' three piece. The experience was a bespoke breeze; I selected every detail from the fabric right down to the colour of the lining, the brass buttons and the angle of the lapel. 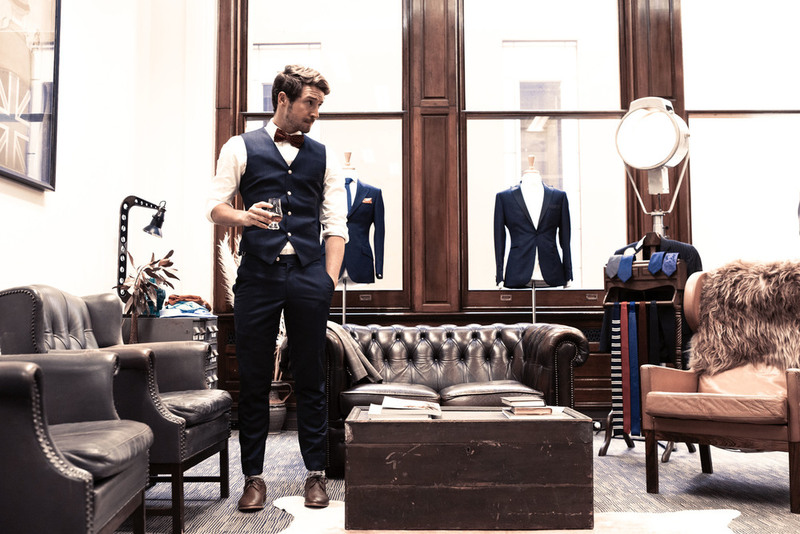 Once the suit arrived we had a final fitting in the Institchu Sydney CBD Showroom and minor tailoring adjustments were made. Then voilà! A brand new, custom designed suit is born.